For weeks, I kept receiving these email updates from Plasq, the company whose unique applications for Macs include Comic Draw and Comic Touch. 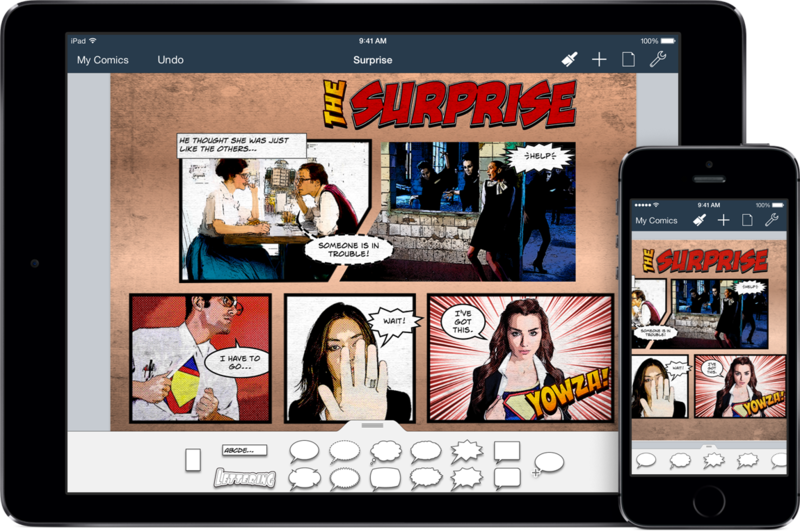 I was generally ignoring them because they were simply announcing that Comic Life, a fun and easy-to-use comic book creation program, was now available for iPad. I didn't really care because I already owned the program for my iMac and it seemed redundant to get it for iPad . Finally, however, I relented and checked out its description in the App Store and then downloaded it for the very reasonable price of $7.99. I was very glad I did.. Comic Life is marketed more for the amateur photographer and casual artist than for serious graphic designers or illustrators. In fact, Plasq's entire line of software is really an extension of Apple's successful philosophy of making it easy for the Average Joe to take those photos from his daughter's 8th birthday party and turn them into a professional-looking video, scrapbook, slideshow... or comic strip. Let's face it, this is what iLife is all about... and it's a winning strategy. Plasq has found a niche in that philosophy that Apple hasn't tapped and has created some good software to fill it. 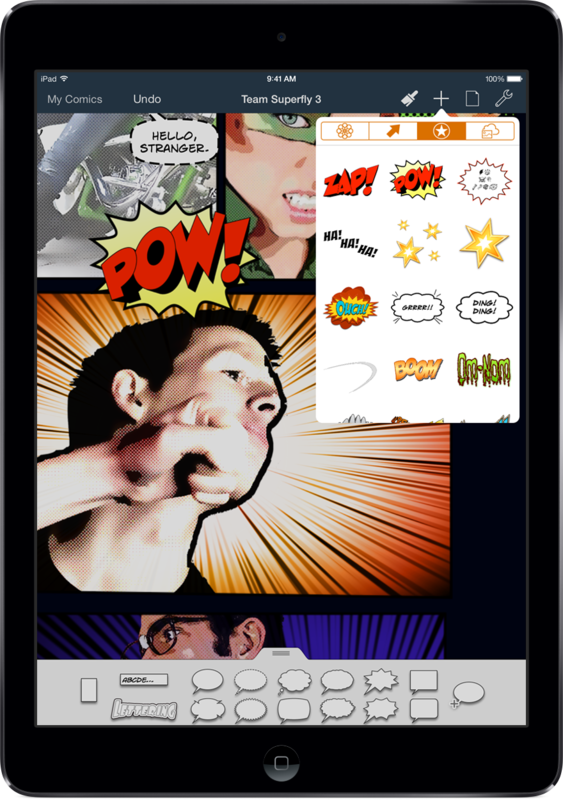 I've test driven several other applications that will "comic-ize" your photos and artwork, complete with word bubbles and dramatic text effects, but frankly no one does it as well as Plasq. As I'm using my iPad more and more as a sketchbook (thanks to other awesome software like Sketchbook), Comic Life is a great accessory. In fact, if it weren't obvious already, many of the graphics on this website were created with the help of the program. Comic Life in Editor Mode on iPad. 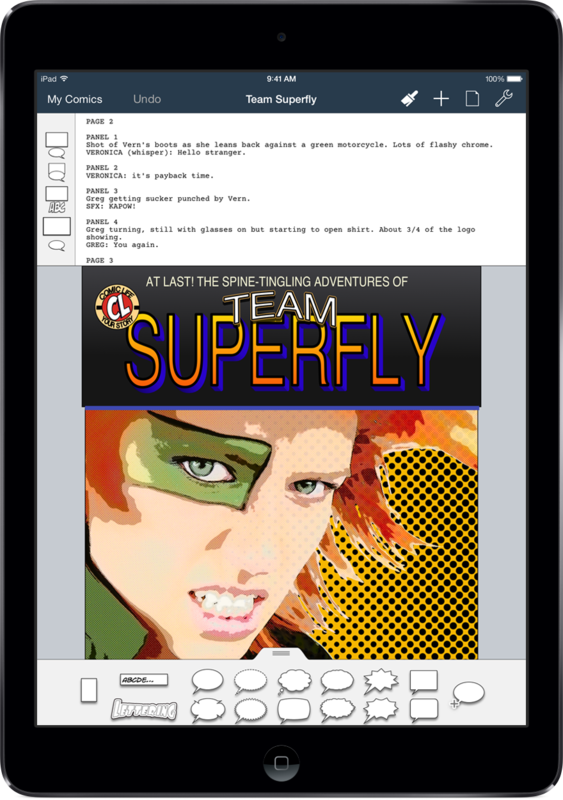 Script Editor and comic displayed on iPad. Comic Life in Editor Mode on the iPad. One of the best things about Plasq's software is the fun, easy interface. The designers understand that the bulk of their users are not professionals who require or want complex Adobe Illustrator-type options. The instructions for the program are brief and the program itself is very intutive. Plasq has even done a laudable job of keeping the way the iPad version works very similar to their regular Comic Life, which is not always an easy trick when you're changing platforms like this. 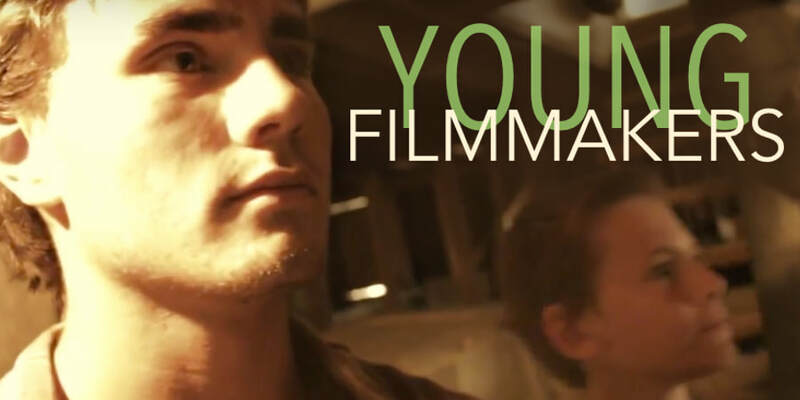 The program allows you to import and position photos or artwork, add captions, word art, backgrounds and effects; then down your creation into a variety of formats for the enjoyment of others. 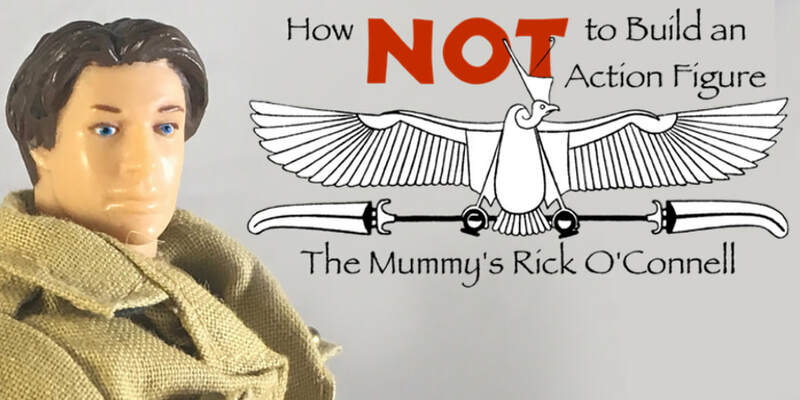 Needless to say, Comic Life won't appeal to everyone and the $7.99 pricetag may seem steep to someone who just wants to create funny graduation announcements or birthday party invites. 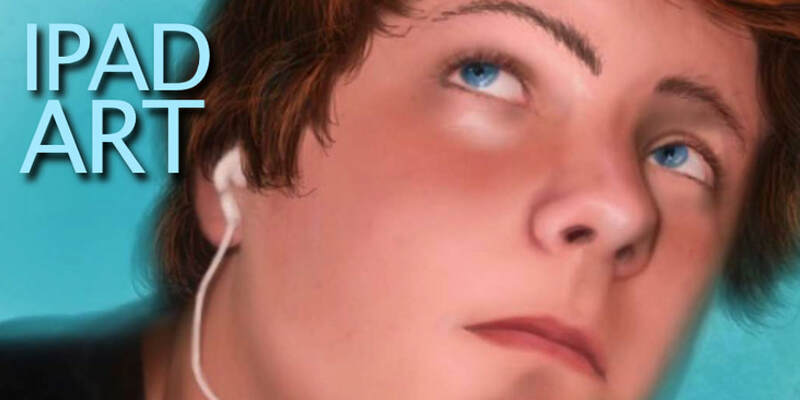 For older kids and teens who are fascinated with Manga or graphic novels, however, it could be an amazing tool. The program even comes with different templates to help you fashion your particular flavor of comic book style. If this sounds like you, then I don't think you'll be disappointed in buying the program in either its regular or iPad versions. 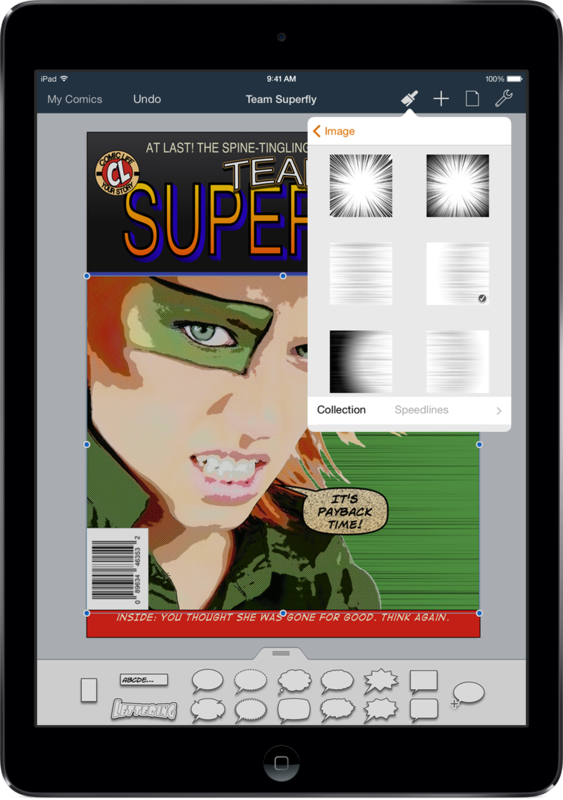 Update for February 2017: Comic Life 3 is now available with even more features. To learn more about this software, visit the Plasq website.